The subsidized neutering programme pays a percentage of the costs of owned dogs to be neutered. Επιδοτούμενες στειρώσεις για ιδιόκτητα σκυλιά - Χρηματοδότηση από MARCHIG ANIMAL WELFARE TRUST. 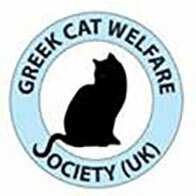 Having first donated suitable equipment, the GCWS then provided funds which were paid to a local vet in Rethymno which cover neutering of stray cats. The SNIP International donated to our association "Friends of Animals - Rethymno" equipment which is essential for our CNR (catch-neuter-release) programme for stray cats. Forderverein Arche Noah Kreta e.V. supports and helps our association plus the Rethymno municipality by providing vets, when possible, plus covering expenses for the neutering of stray animals at the municipal clinic.